So I am thinking about doing something a little different this year. We have a great community here on G+ so this is a bit of an effort to encourage, inspire and give back. To celebrate the recent release of Necromunda and Necromunda: Gang War, I will be giving away a fresh copy of Index Chaotica: Apocrypha to the best Necromunda related conversion. 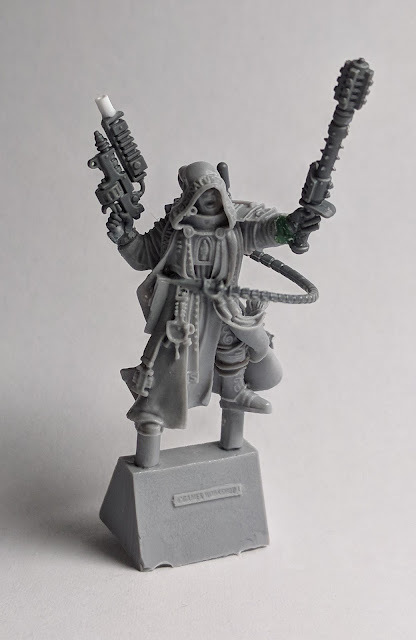 So conversions could be a Necromunda Ganger(s), Shadow Wars: Armageddon, INQ28, Terrain and/or anything related to either of these systems. Yup, it's been a while. Been a long year. A real calamity of problems since November 2016. But a new year is about to shuffle past and hopefully I can catch a ride to brighter days. So formalities aside everyone, Happy New Year!! Traditionally we bloggers put a list together of the projects they have completed. In my case, it's more a litany of "The box of shame", where I feel shame over the projects started, but not quite completed (Courtesy of the Age of Darkness Podcast). All in all, it was a patchy year for finishing projects. I started out well, however life hit a snag around July and it became a real hodge-podge of hit and misses.